This presentation will detail a multisensory intervention that assists patients with dementia to experience spirituality in their own way. Singing is used as a means of communication, and aromatherapy, when appropriate, is used to awaken the senses. In addition, specially designed photographs of common items, such as flowers, animals and faith symbols, serve as visual aids to stimulate memories. The intervention is tailored to the individual based on information gathered from family and others regarding what brought the patient enjoyment and meaning in life when healthy as a guide to the selection of photos, music, aromas and affirmations. 3. Use a multisensory intervention that assists patients to experience spirituality in their own way. Content level: Intermediate (informal research, clinical applications). Chaplains, social workers, nurses and other caregivers, as well as students and hospice educators. 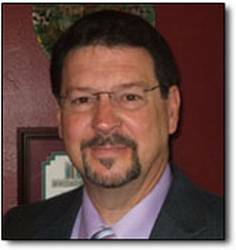 Rich Behers DMin BCC is the spiritual care manager at Cornerstone Hospice in Winter Haven, FL. Previously, he was a chaplain advisor at Lifepath Hospice in Lakeland, FL. In addition to working with hospice patients, Behers has instructed quality improvement seminars to enhance effectiveness of spiritual care delivery and engages local clergy in the work of hospice through ministers' meetings and public services of worship. He has served as vice chairman of the Polk Family Caregivers board of directors and has received Shining Star awards for exemplary patient care from Heart of Florida Hospital in Haines City. He earned a doctorate of ministry degree from Luther Rice Seminary in Jacksonville, FL and a master of divinity degree from Mid-America Baptist Theological Seminary in Memphis, TN.